I love it!!!! it must be a lot more stunning IRL too. whats it like if lit from below? What an incredible table. I have hundreds of doilies that my great-grandmother made filling up drawer and closet space because I couldn't think of an original way to use them. Thanks for visiting my blog. I added you to my "calling cards" list. You have so many beautiful projects on your blog that I spent an hour yesterday reading it. Especially loved the black and white floor in an entry way with the dark stained ballister. thanks Holley! I am glad you like the work. I thought this was a brilliant way to preserve the work of my ancestress, and also I have a table I never have to worry about "setting." 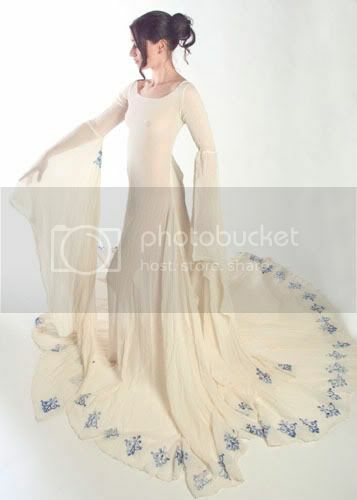 Lynne, that is a stunning table! What a fabulous idea! This is one of the best things Ive ever seen! I found your link on a comment on 'more ways to waste time' and have to say, this table is amazing! 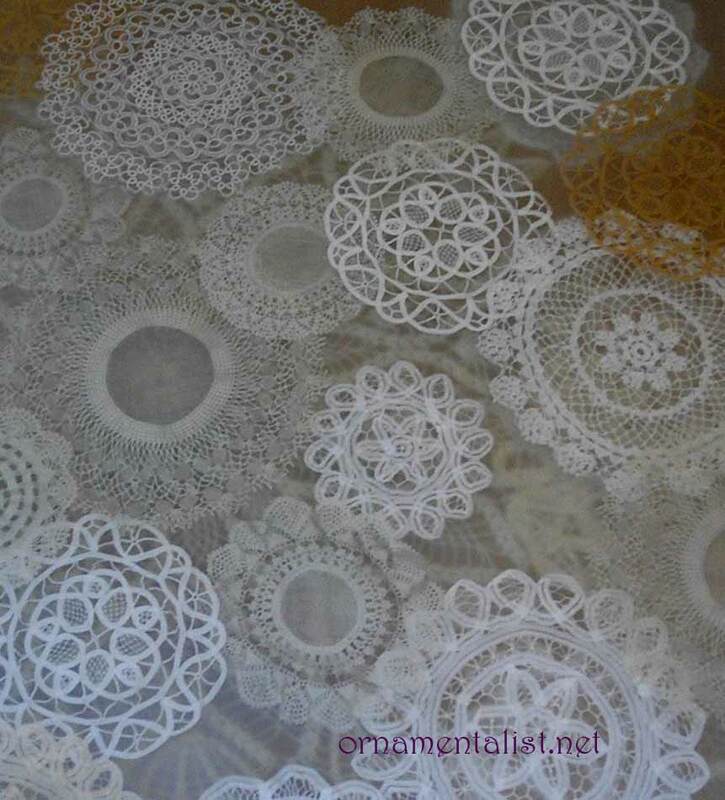 And so much more special that some of the doilies were made by your grandmother. Great job! This is so special and beautiful! 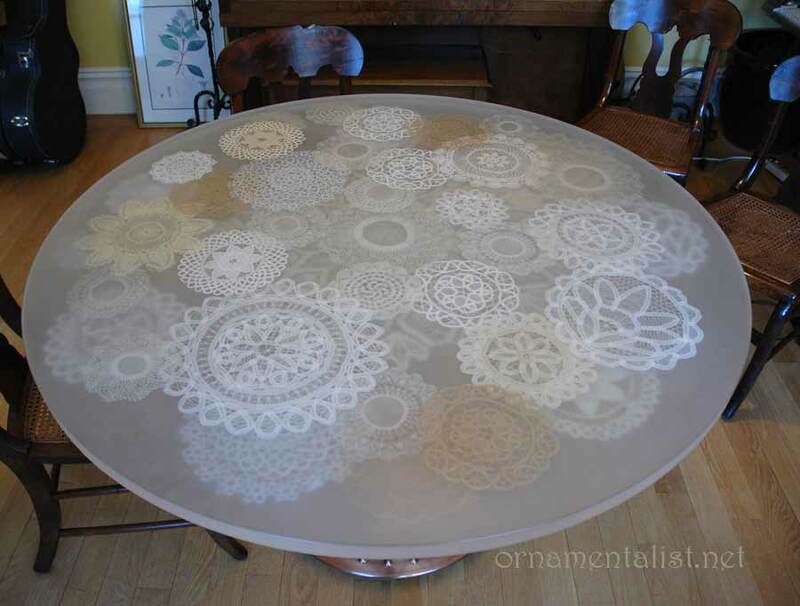 I love the depth created by the layering of the doilies in the resin. Each piece is a work of art in itself. I just stumbled across this somewhere (can't remember where now!) and think this is AMAZING. 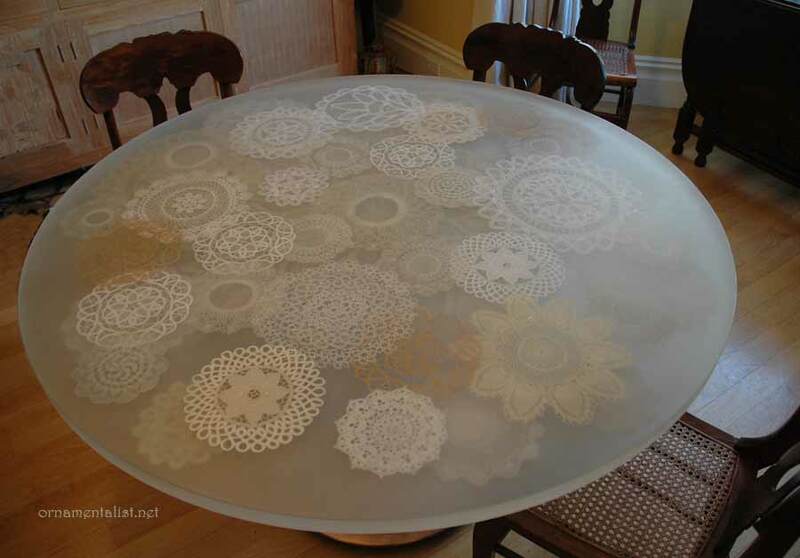 I have a bunch of doilies from my Nana too and have always tried to think of ways to display them (without looking like a granny myself!). I just love your table. It looks amazing! Now I am off to look at the rest of you blog. Have a great day! Wow this is beautiful! Is it still looking good? it sure does look good! this resin will last for ages! i am still very much in love with the table!